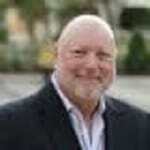 David Goodman is the founder and President of Franchise Biz Consulting. He retired from the precious metal business where for nearly a decade; clients readily consulted him for a variety of precious metals investment strategies. He enjoys a favored reputation as a preferred speaker for franchises and has a monthly column in E Magazine. In that periodical he offers tips on matching an individual with the correct franchise best suited them. Consulting is a passion of his. He acquired volumes of knowledge in the financial arena as a seasoned stock broker for the oldest member of the New York Stock Exchange. There he attained an unprecedented degree of success. He has coached investors on stocks, bonds, mutual funds, mortgages, real estate and insurance products. Relative to the retail segment of business he owned one of the most iconic discount variety stores of the 70’s. It was among the first of 50 retail stores in Philadelphia to have the vision to install the Pennsylvania Lottery in their establishments. Later in life he felt the calling to help people in need which is why he received a degree in Allied Health and became a Registered Nurse. He was the charge nurse for one of the largest hospitals in Philadelphia. However, his greatest achievements were in the franchise industry. Due to his knowledge of franchising, advertising and marketing, he owned and operated the #1 revenue-grossing Dunkin’ Donuts Store in the country. In essence, his involvement in all these diverse disciplines of business has laid the foundation for the wisdom to properly match a candidate both nationally and internationally with the close to 500 franchises under contract with him. The matching could be from one unit, to multiple units, to area development rights, to exclusive master rights that could blanket an entire country.